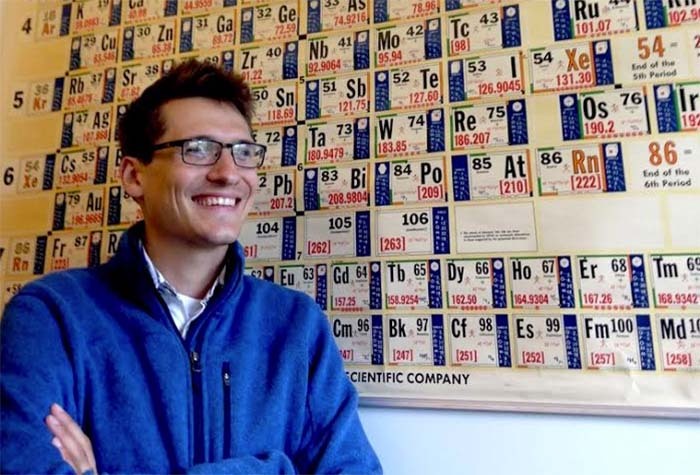 Assistant professor of chemistry Chris Kotyk and coauthors have discovered that an important property, the +2 oxidation state, is common to all of the rare earth metals, when it had previously been observed for only a few. Studies testing the reactivity of these complexes resulted in an unexpected compound with interesting implications for other unknown oxidation states. In a second article, Kotyk and colleagues report they have synthesized several new, highly reactive materials using mechanochemistry. This new method of allows them to more easily create highly reactive organometallic complexes that could not be synthesized in the presence of air or solvents.These syntheses are not performed in solution, thereby minimizing solvent waste.